Ramadan Kareem! To all those fasting out there we wish you a smooth sailing Ramadan. Make sure to follow these tips to stay healthy and happy during Ramadan. This is the most important meal of the day â€“ completely necessary before fasting for the day. Be careful not to over eat, which is a challenge but it is important to limit yourself! The best foods to eat are ones that will release energy throughout the day. Foods high in protein, carbohydrates, and fibre are the best for you. Make sure to have at least two glasses of water during this time! Recommendations to eat: Eggs with whole grain toast, peanut or almond butter on whole grain toast topped with nuts, bran muffins, beans, yogurt, avocados, any type of nuts, hard boiled eggs (cook a batch at the beginning of the week). 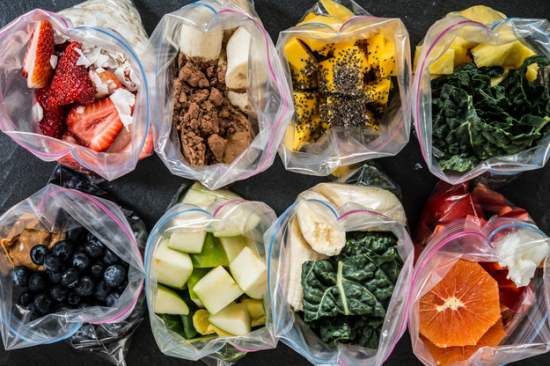 Pro Tip: If you make smoothie freezer bags at the beginning of the week this makes those 3am meals simple and easy. Throughout the day do your best to not over use your body, stay in cool places and limit the amount of physical activity if possible. Not always an option but a quick mid-day sleep can help your body a lot. Just like Suhoor in the morning, at Iftar make sure not to over eat or all at once. 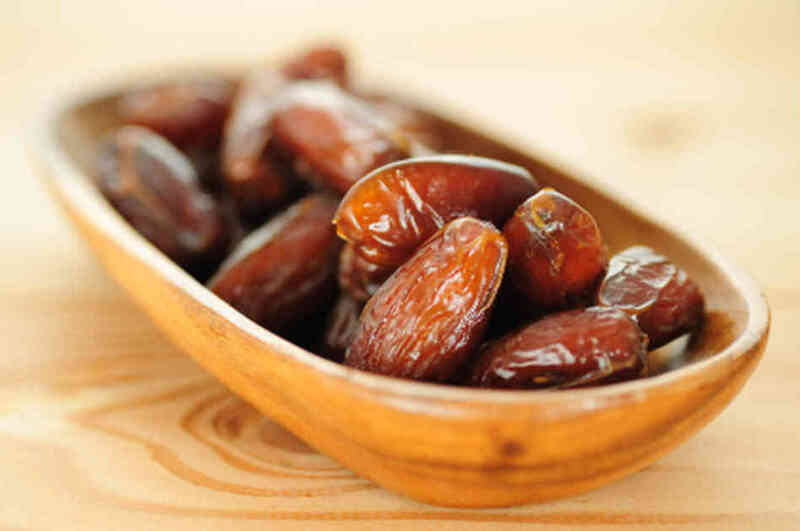 Start off with dates, milk, water and fruit. Then go into more liquid foods â€“ like soup. It is crucial to not eat the heavy foods all at once because you need your bodyâ€™s blood sugar level to go back up as well as have your fluids return. Two dinners are necessary, at each there needs to be at least one serving of vegetable and fruit. Brown rice or whole grain noodle are awesome because they release energy slower and throughout the next day. Eat lean meats and fish as they are high in protein! Sugary foods and deserts will burn energy fast and do not help with fasting at all. During this time make sure to continue drinking fluids! When visiting family and friends try your best to not have tea, coffee and soda, as these fluids will dehydrate your body. 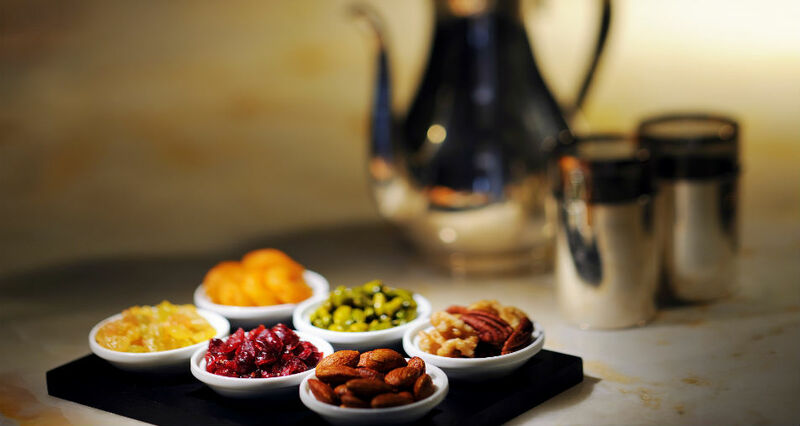 For desert save the chocolate and candies for another time, fresh fruits and nuts will give you the right vitamins and protein! Avoid eating overly salty, spicy, and fried foods as they are not very healthy and as well will not give you the energy needed. Salty foods dehydrate our bodies! Make sure to plan your meals around sleep â€“ make a food schedule and pre plan meals so that you are getting enough rest so you are not a zombie for the month! The post Say Goodbye to Hangry You This Ramadan appeared first on Zahara.